Speed of light is taking two light concepts from the past and moving them into the future via the gentle application of the latest in LED technology. Animated light has been with mankind through most of our history in the form of fire and flames; the rise of static light sources is a very recent phenomenon. 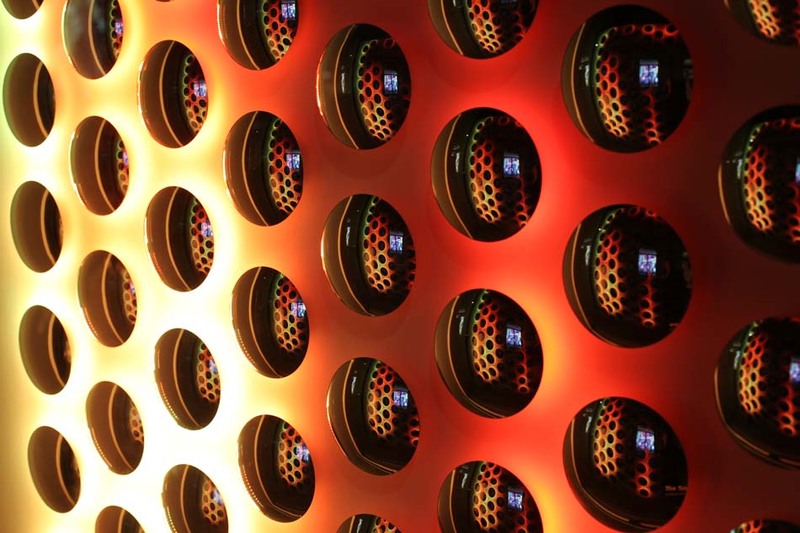 Here LED pixels are used to re-create animated flame like effects. The design of the halo light, which makes up the speed of light installation, takes reference to classics from the 50s and 60s, a simple circular wall washing light made from a convex mirror. The halo of light around this lamp can be controlled to change in colour and shape, turning each lamp into a shape shifting, morphing pixel. A group of these lights working together creates beautiful mesmerising effects across a larger surface, revolutionising decorative lighting and its creative potential. 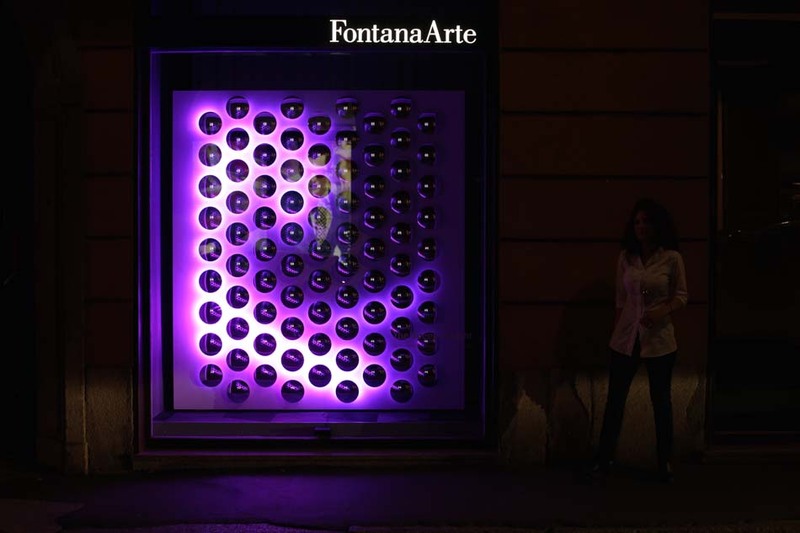 To introduce the halo light during the Milan Salone an interactive installation has been created that reacts to motion. 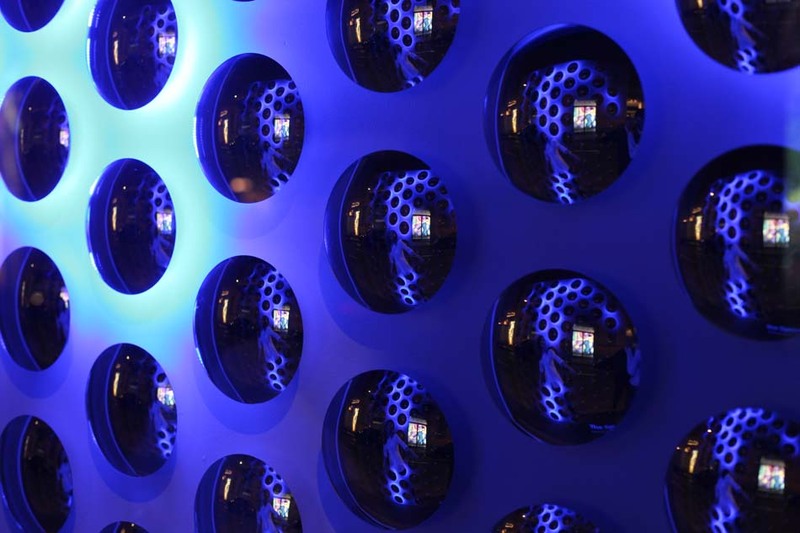 Visitors moving in front of this wall can influence the gentle fluid animations that run across the group of halo lights. 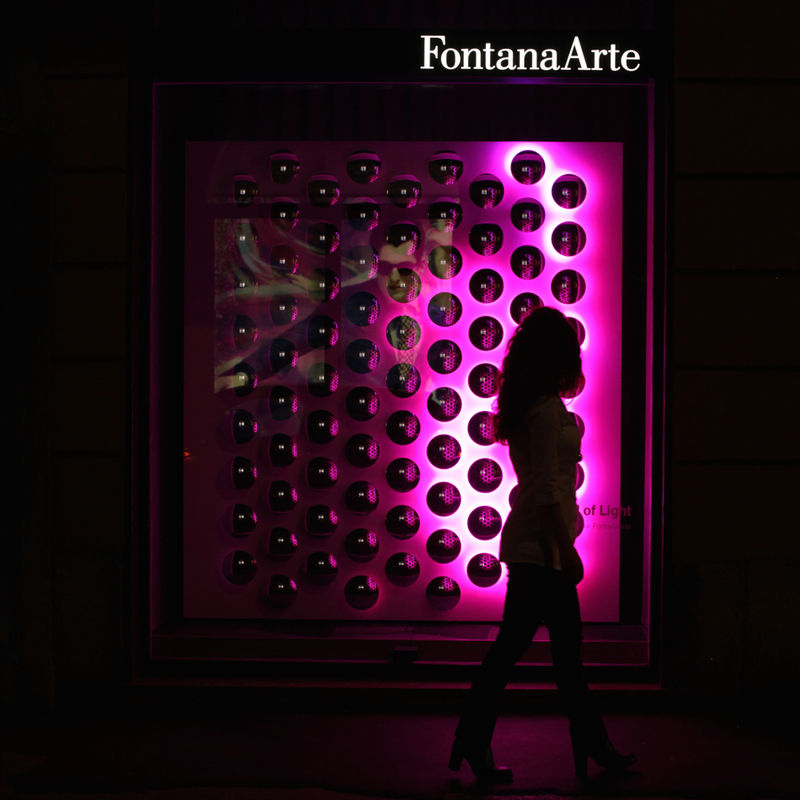 The installation uses computer vision and complex algorithms, however the technology remains in the background to create a charming and mesmerising experience to the visitors of the FontanaArte showroom. This entry was posted on Monday, April 27th, 2015 at 4:41 pm. 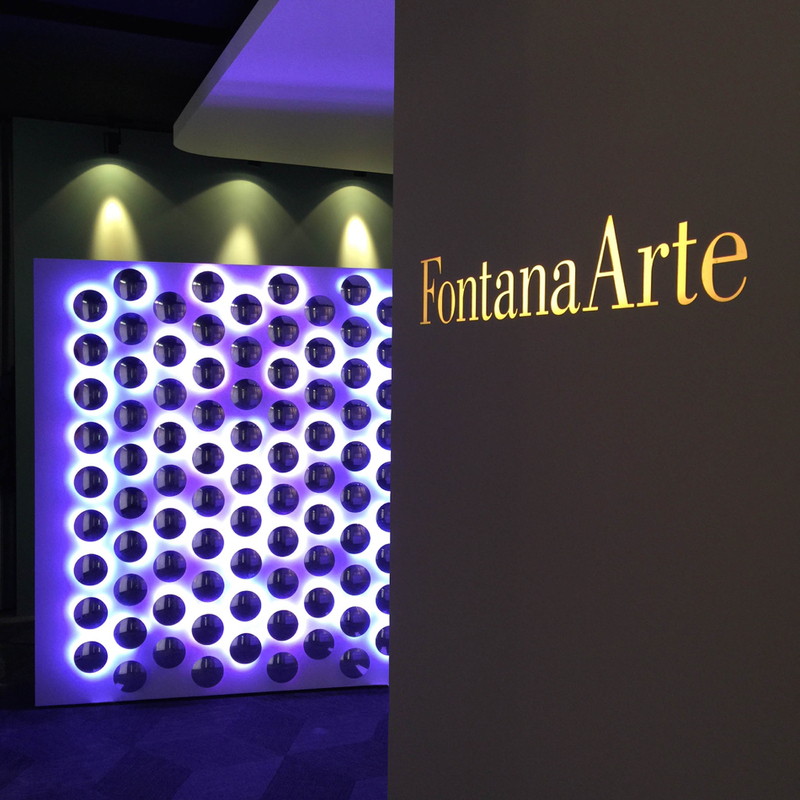 It is filed under ALL PROJECTS, LIGHT DESIGN, PERFORMANCE. You can follow any responses to this entry through the RSS 2.0 feed.